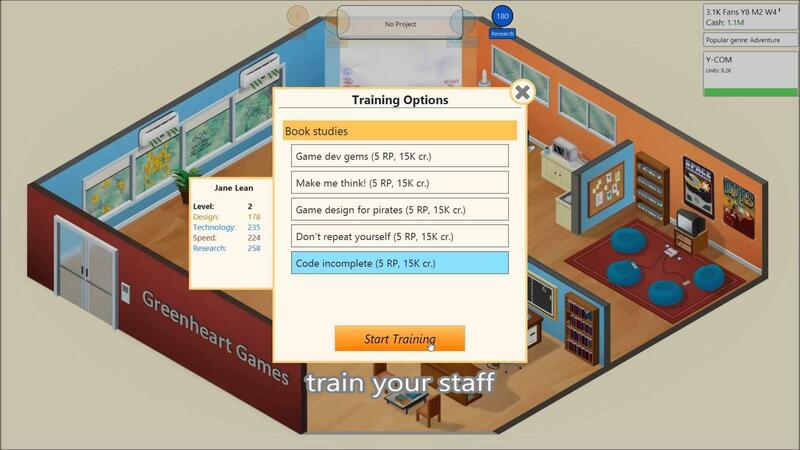 Game Dev Tycoon by Greenheart Games has been released for GNU/Linux, Mac and Windows. It is a game development business simulation, where you start developing your own games by yourself and try to become a succesful game company, where you manage and train several employees. Quote With your purchase you get the game for all three platforms and you can install the game on up to 3 of your computers for personal use. While there are demos available for Windows and Mac, there is still no GNU/Linux demo at the moment. The game is also on Steam Greenlight and if it gets into the Steam store, existing customers will get Steam keys. There is also a Pirated version of this game released by the Company. In the pirated version, after a few hours of playing, you notice that your Games are getting pirated within the Game. It's quite clever. Sounds like a game I would quite enjoy! So it would be silly of them to release a Linux demo but sell a full game for it...right? That is worth supporting, I would say. It's quite a genius idea and can certainly help you see how many people pirate I guess, looks like a studio worth investing a few bucks in..if they fix the Linux bugs that is. This looks just like a clone of GameDevStory. A game thats been cloned as many times as Tetris. Still, if its polished it is a refreshing concept even though it does get a bit repetitive. Would be good to hear if theres anything differentiating it from its genetic parent. mongrol This looks just like a clone of GameDevStory. A game thats been cloned as many times as Tetris. Still, if its polished it is a refreshing concept even though it does get a bit repetitive. Would be good to hear if theres anything differentiating it from its genetic parent. Indeed, I thought the same (though I'd forgotten the name so I didn't mention it ;)) -- it does seem to at least improve the formula on a few aspects -- your start up is much more basic, PC gets more consistent love in this as well, rather than going straight down the crapper after the first set of consoles. They also have better consistency with game types, the genre doesn't have as much of a negative effect with the "wrong" type of game like it does in GameDevStory. Still, the Linux progressing issue I mentioned earlier is really frustrating as I can't research most of the tech without spamming poor quality games to get the RP up (not enough staff).